Newcastle Business Club is pleased to present our Annual Awards at this luncheon. We are also thrilled to announce that we are partnering with the The Equal Futures Project to deliver the Hunter Diversity awards. 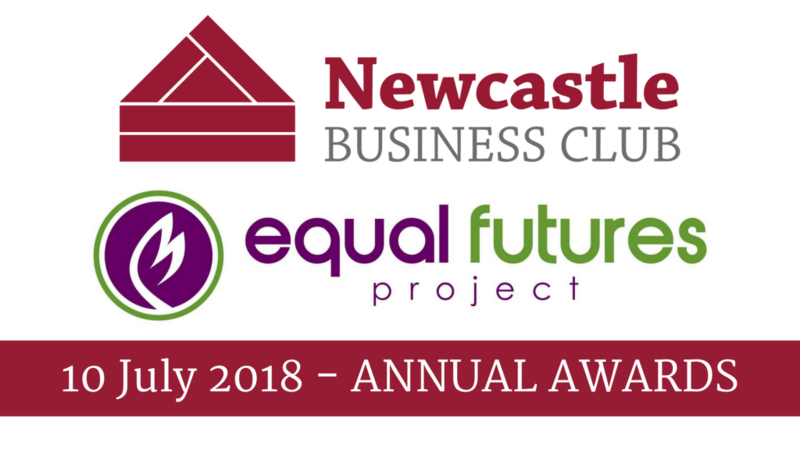 The Newcastle Business Club Annual Awards recognise a younger (under 35) person, an individual and a company/organisation each year who have made a significant contribution toward the improvement of industry, culture, education, sport or the overall wellbeing of the citizens of Newcastle. Each award winner is presented with a framed photograph of The Summer House by E.Hilda Rix-Nicholas, as well as an overview of their recognised accomplishments. The original painting was purchased in 1976 by the Newcastle Business Club and presented to Newcastle Region Art Gallery for the benefit of the people of the region. It is a lasting gift to mark the inauguration of the Annual Award to an individual and organisation from the region who (or which) has made a major contribution to the commonweal of the city.